The technology hub of Southeastern Finland, Lappeenranta attracts ICT professionals from the Helsinki metropolitan area and the nearby municipalities. The city is home to some 10,000 students, about 5,700 of whom study technology and business at the Lappeenranta University of Technology (LUT). There are also over 1,200 Masters of Science in Technology working in the area. About 70 new ICT professionals graduate from LUT every year. ICT research at LUT emphasises software production, focusing especially on software innovations and the development and streamlining of the software business. The Saimaa University of Applied Sciences (Saimia) has long traditions in ICT education. At the moment, Saimia offers tailored training for software professionals in accordance with companies’ needs. Professionals graduating from the Saimaa Vocational College (Sampo) have a vocational qualification in information and communications technology. 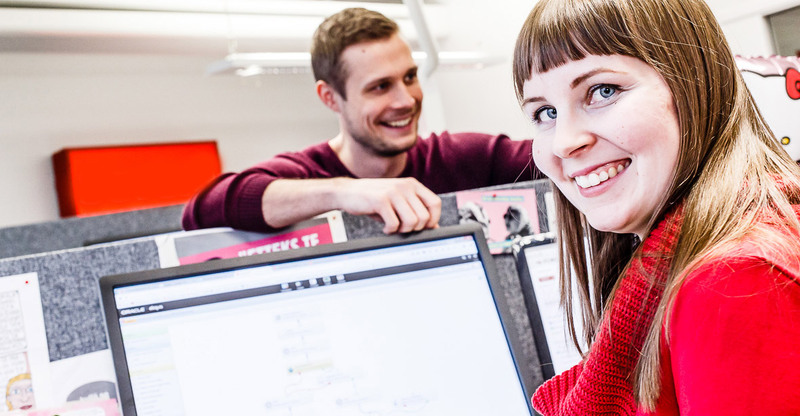 The City of Lappeenranta and the nearby municipalities have reacted strongly to the rapid growth of the software sector. Companies, Wirma Lappeenranta, Saimia and LUT plan to organise a one-year supplementary education programme in software development, aimed at ICT professionals and other people with relevant educational background, in autumn 2016. Through the new educational model, the city promotes corporate growth and quickly provides more labour for regional needs. A business-oriented software education programme will be launched in January 2017, to ensure labour-related self-sufficiency for the near future. Located on a single campus, the LUT and Saimia universities, which are in fact considering merging, collaborate closely with businesses in the region in research, the writing of theses, and on-the-job training. Companies can also offer tuition to students by teaching courses at the university. Thanks to the tight-knit technology community in the area, it is easy for businesses to develop their operations together. Wirma Lappeenranta Ltd helps businesses to chart the needs for training and supports them in the practical realisation of the training in collaboration with the educational institutes. Businesses in the Lappeenranta region can achieve considerable savings in labour costs. The wages in the ICT sector are lower than in similar positions in the Helsinki metropolitan area. A survey has shown that a company can save up to EUR 800 per month for each employee. Especially for companies with a lot of staff, annual savings can thus be significant. The City of Lappeenranta offers businesses an employment bonus when they hire an unemployed jobseeker. The aim of the bonus is to support unemployed jobseekers’ transition to working life and to prevent societally significant unemployment. The amount of the subsidy is EUR 1,500 per hired unemployed jobseeker. Through its new Digiboost funding campaign, the Finnish Funding Agency for Technology and Innovation (Tekes) has undertaken to pay 50% of the salary of a digitalisation expert hired by a company, for one year. The digitalisation expert can be hired to perform tasks related to product development or surveys that provide the company with new understanding and know-how and help it benefit from digitalisation in its business operations.